This Floating Lily Light will add beauty to any pond, fountain, pool, or even bathtub. Fade-resistant and non-toxic, this Lotus flowers are perfect for your pond. Each piece is Handcrafted with very realistic finishing, it provides colorful and the natural look, design for Garden Pond, Large Fish Tanks, Reptiles, Turtles or small animals. 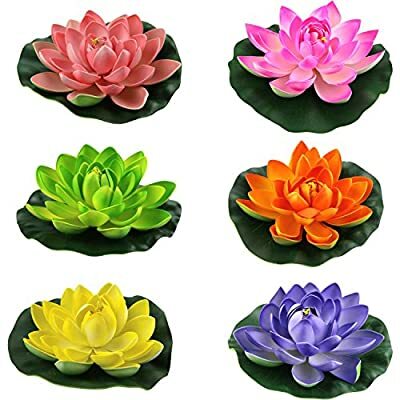 Floating Lotus Decoration can last for years in both Salt and Fresh water conditions.